As you look over your many housing options in the greater Seattle real estate market, you are going to find that you have plenty to pick from. Not only can you choose from a variety of unique locations in the area, but you can also pick from a number of house styles. A partial list of the types of homes that can be found around the region includes Mid-Century modern, bungalows, Victorians, condos, craftsman, and more. It is that last one on our list – the craftsman – that is going to be the focus on this post. You have probably heard this term before in reference to housing styles, but you may not know exactly what it means, or where it came from. A quick crash course in craftsman homes will give you a better understanding of this popular style. Looking for the origins of craftsman homes requires you to go back more than 100 years to the early 20th century. Born in Southern California, craftsman homes quickly became very popular because of the architectural elements that were included in their design. 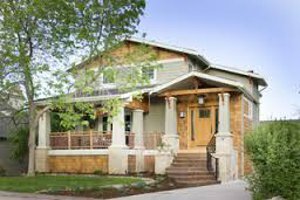 Most craftsman homes have beautiful wood details, porches, columns, and a variety of other design features. Most people feel that craftsman homes have plenty of character and personality, which is a big part of the reason they are so popular today. However, they have not remained popular for the entirety of their existence. This type of home enjoyed a strong run during the first few decades of the 20th century, but was eventually surpassed by options such as Mid-Century modern and ranch. In recent years, the craftsman style has come back in a big way, and it is now one of the most popular choices on the market. Want to own a craftsman home in the greater Seattle area? Good news – they are everywhere. You could take a walk around just about any neighborhood in Seattle and you wouldn’t have to stroll for long in order to find a craftsman-style home. In addition to the classic Seattle homes that were constructed in this style decades ago, there are also new homes that have recreated this style beautifully. In other words, if you have your heart set on a craftsman home – new or old – you should be in luck. Euclid 2nd Add replat Bldg.